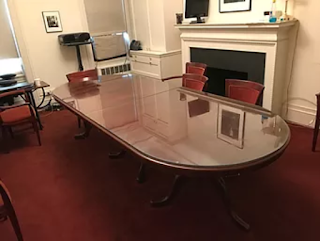 A Custom Glass Table Top is the perfect way to enhance and protect your furniture. A glass table top on your timber or painted high gloss dining room table will enhance its sophistication and style. ACustom Glass Table Top will protect your table’s surface and extend its life. The glass table top will also be protected from dents, scratches, spills and stains. We produce Glass Table Tops for TV cabinets, buffets, side tables, shelves and bedside tables. Custom Tables Tops are suitable for any timber or painted furniture surface. Glass Table Top will manufacture your glass table top from your drawing or sizes or alternatively, we offer a complimentary measure and quote service. A trainedGlass Table Top specialist will visit your home or business to discuss your needs, take measurements and provide a written quote. If your glass table is an unusual shape we will make a precise template to ensure your glass table top is an accurate size and shape.